The first Rochester Literature Festival came to a magical, moving and enchanted end on Sunday, with a re-imagining of the children’s classic, Alice in Wonderland. Excerpts from the ballet by composer Jacob Bride, leading members of the City of Rochester Symphony Orchestra and his band Brides of Rain, plus new songs by Rachel Tate and James Doyle, were interpreted by four wonderful dancers in a mix of play acting and dance, with new writing mingling with readings from the original stories. It was a triumphant finale to a wonderful festival, which was achieved without any arts funding and all the performers giving their time for free. There was a financial donation from Elmhaven Marina, based in Cuxton, which enabled us to break even overall. Ten days of readings, creative writing workshops and a well-lauded theatre night, which the audience compared to a night out in the West End of London, were augmented by The Skywatcher Investigation – an unusual interactive story involving aliens – a book launch, and an incredibly informative and fascinating evening with Bill Lewis. An exhibition celebrating the theme, Other Worlds, Other Voices took place in Rochester Library for the duration of the festival. This first festival has far exceeded our expectations, and to have achieved it with so little funding has given us a lot of heart and encouragement to do it again next year. We were fortunate to have such a wonderful team of volunteer performers, and thank in particular Roy Smith, Sam Hall and Jacob Bride for their creativity and generosity, and Medway Libraries for their support and encouragement. More feedback will appear on the Other Worlds, Other Voices page in due course. For up to date news of more Rochester Literature Festival events, sign up for our newsletter on the contact page here. If you wish to make a donation to support us, you can do so here until the end of the month. Thank you. We’re halfway through but there’s still lots more to do! Whether you’re an experienced writer or a fledging, stretching those itchy pen fingers for the first time, we have three opportunities coming up for you to hone your skills and find inspiration from like minded people. You’ll find links to the booking forms highlighted. Firstly, Write Around Town, led by our friends Barry and Sam of ME4Writers. Join them on a tour of our fair city, and let its stories unlock your creativity with creative writing exercises. Next, the Potlatch – bring something to the table. Pen(s) and paper are a must, together with your favourite book, or part thereof, that you feel interprets our Other Worlds, Other Voices theme. Our final workshop is led by Philip Kane. In From Sorcery to Starships, Philip will help us to craft and explore a world of our own creation that can form the basis of a whole series of novels. 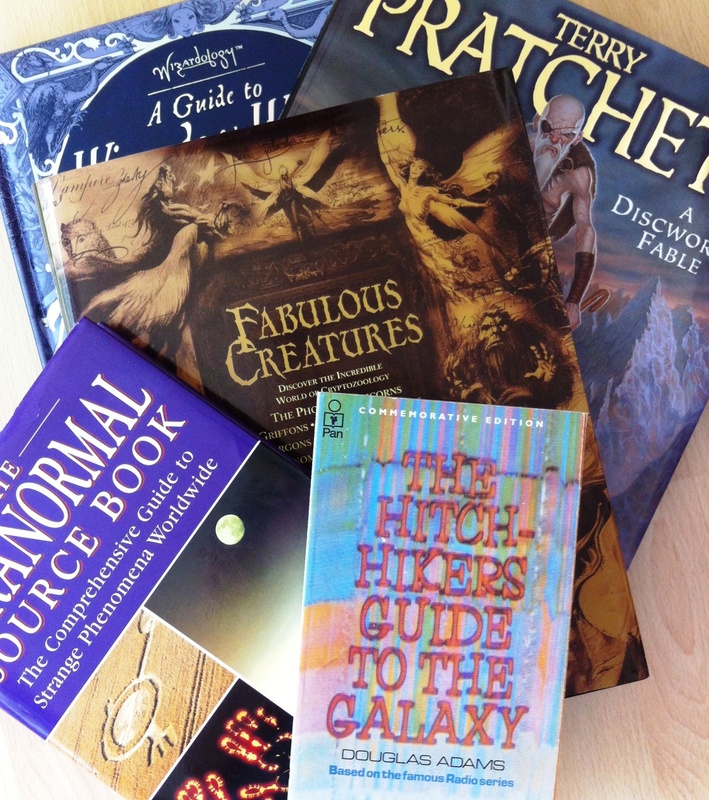 We’re thinking big here, but we don’t expect you to walk away with your own fully formed version of Pratchett’s Discworld, just a good idea of how to do it! The Hero’s Journey – A Call to Adventure is an evening with Bill Lewis, our Big Night Out on Saturday, charting the myth and legends that influence film and television . There are now only a dozen or so tickets remaining, with many people turning up on the night – secure yours here to avoid disappointment. Our art exhibition is on display in Rochester Community Hub and Library until 4pm on Saturday – do pop along to see the beautiful and unusual work by our wonderful artists. The opening events are upon us! We do hope you’ll be joining us for a long weekend of literary inspired events, with poetry hunting and workshop, reading, drama, sci-fi investigating, writers’ games and a book launch all on offer. ME4Writers will be hiding the PoetryMon cards across the towns tonight, in readiness for tomorrow – check out the clues on their website when they appear and see how many you can find. Maggie Harris will be in residence at Rochester Community Hub and Library tomorrow night to read from her moving and resonant work, then at Strood library on Saturday morning for a poetry workshop. Both events can be booked on 01634 337799. Our headline event for the weekend is A NIght at the Theatre, featuring actress and WOW founder, Emma Dewhurst, in BBC Prize winner Sarah Hehir’s ‘Bang Up‘, together with the relaunch of 17percent’s She Writes programme, showcasing What’s Through The Door, a set of three short dark comedies inspired by an HG Wells short story. Scriptwriter and actor, Paul Doust, has been drafted in by Emma, along with a gifted cast, to bring to life Sarah’s award winning radio play, broadcast on BBC Radio 4 in August. To book your tickets for this truly excting, one off event, visit our Eventbrite page here. Aliens. Siblings reunited. And some inappropriate games playing… She Writes is back and it’s bigger and better than ever! Read more about 17%, its cast and writers here. 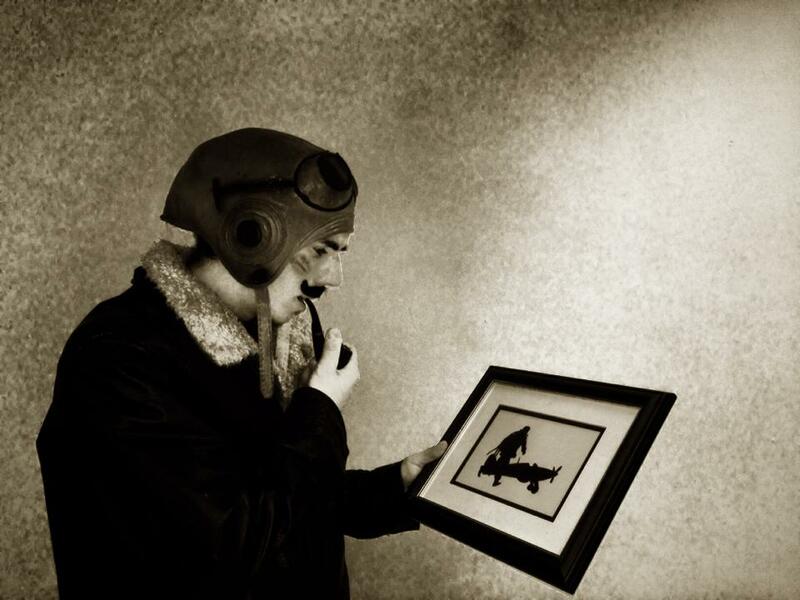 The Skywatcher Investigation takes place on Sunday afternoon and is shaping up to be one of the most unusual events we’ve ever staged, with the creative genius of Roy Smith at the helm. To book tickets, visit the Eventbrite page here. And keep an eye out for this chap, he seems a bit lost! Chocks away! On Monday night, join Philip Kane for an informal night of writers’ games in the Good Intent from 8pm (no booking required) and limber up your writing hand for the rest of the week. City Without a Head is Tuesday’s must-see/hear event. Join ME4Writers at Ye Arrow to launch their much anticipated study of Medway. Also starting at 8pm and also free, no booking required. Our Other Worlds, Other Voices themed mixed media exhibition will be open from Saturday, 5th at the Rochester Community Hub and Library. To read more about each event, visit the Other Worlds, Other Voices page for links to individual blog posts. Three award-winning writers feature in our very first Rochester Literature Festival, an eclectic and imaginative ten-day programme of events inspired by the overarching theme, ‘Other Worlds, Other Voices’. The festival begins on 3rd October to coincide with National Poetry Day and runs to 13th October. 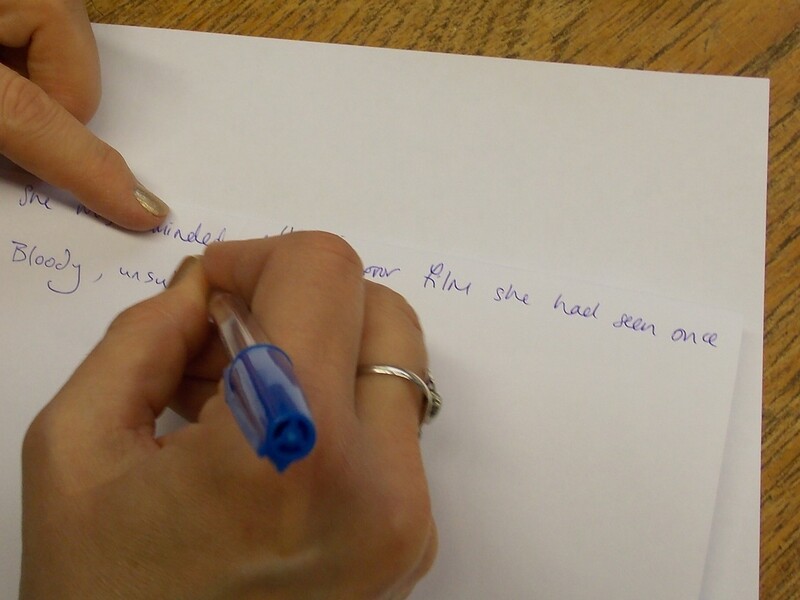 There will be further opportunities for people to hone their writing skills in a number of word-related creative writing workshops: writer Philip Kane leads From Sorcery to Starships, a fantasy and sci fi workshop and an informal writers’ games night Play: Write. The RLF team will also host another version of their successful readers’ and writers’ Potlatch. Alongside the literature events, an exhibition of mixed media entitled Other Worlds, Other Voices, runs between 5th – 12th October at Rochester Community Hub and Library. While some events are free, they may require booking due to limited numbers (links to the booking form are highlighted in this post). Other events have a small fee to cover venue costs. Please visit the ‘Other Worlds, Other Voices’ page for links to find out more about each individual event. Our inaugural festival consists of many different and imaginative events spread over ten days. As a voluntary group, we currently have no funding and are reliant on ticket sales and donations to cover the costs we’ve incurred. A sincere thank you to all who have bought tickets in advance. For the benefit of festival goers who are considering coming to many events, we’ve introduced a pass which will give you entry to all paid events, a total of £26 if bought separately. However, you can enjoy every event for the princely sum of just £19.00 with the Festival Pass – buy your ticket here. Please note, there is limited availability due to separate bookings on the events. Since some of our events are free, the donation option is available for any kind, generous souls who attend and enjoy any of them and wish to show their support with a donation. This will be available until the end of October – so you can try before you buy, so to speak! Seriously, if you do come along and have a good time, your donation will help us to run the festival again next year. Please click onto the Eventbrite page here to donate and/or buy a Festival Pass. We have a unique event for you – I’d go so far to say it’s a cultural (and experimental) phenomenon for Medway, actually – on our final Sunday to close the festival. Composer Jacob Bride’s magical and musical interpretation of Lewis Carroll’s eternal tales of Alice in Wonderland and Through the Looking Glass will mesmerise you, as dancers playing the characters of Alice (Sophie Williams), Caterpillar (Angelle Sweetapple), The Queen of Hearts & Mad Hatter (Lorraine Smith), The White Queen & Dormouse (Sarah Rose Denton), and March Hare (Mandi Harkett) guide you through this re-imagining of these wonderful stories. Jacob will conduct members of the City of Rochester Symphony Orchestra and local band Brides of Rain, with solo performances from James Doyle and Rachel Tate. There will be excerpts from the books read by Lorraine Elizabeth Gray, and a special introduction written and read by Roy Smith. Other new writing based on the works will also be read. 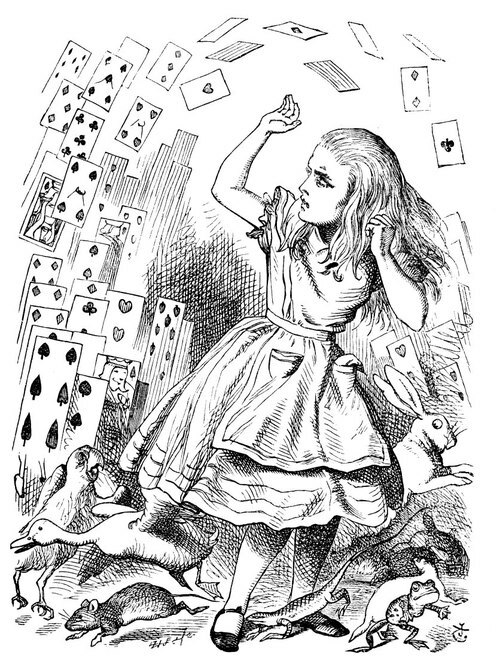 Alice will take place at The Royal Function Rooms (Billabong Club entrance, Victoria Street, Rochester) from 2pm on Sunday, October 13th. Tickets are just £3 and can be booked here. Children must be accompanied by an adult. 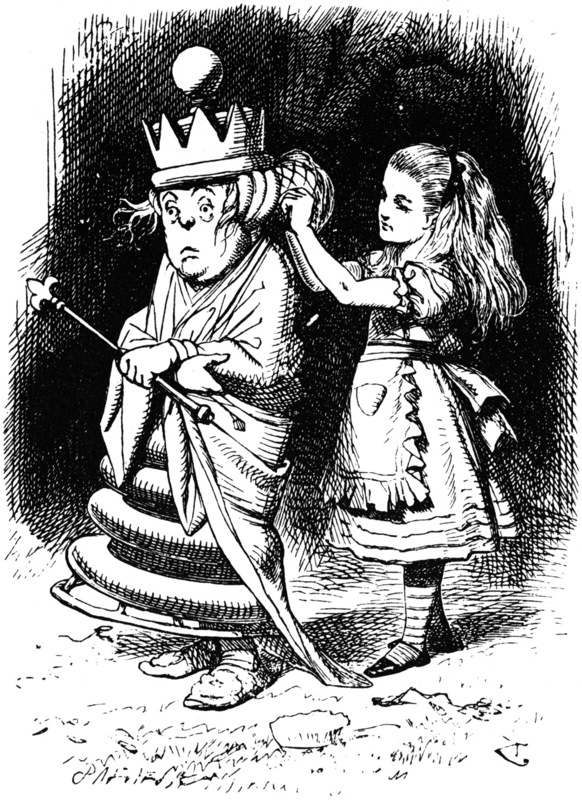 The illustrations shown here are John Tenniel’s originals from the books. We’d like to thank Mary and Andy for their support following a venue switch for this event. However, due to that switch we do now have to charge a very small fee to cover costs. Our headline event on the final weekend is a fascinating and unmissable evening with Bill Lewis, original Medway Poet, painter and storyteller. Referencing his own life and work, and sharing his great knowledge of magical realism, metaphor and myth, Bill contemplates Joseph Campbell’s vision of ‘The Hero’s Journey’, and how it impacts on film and literature. 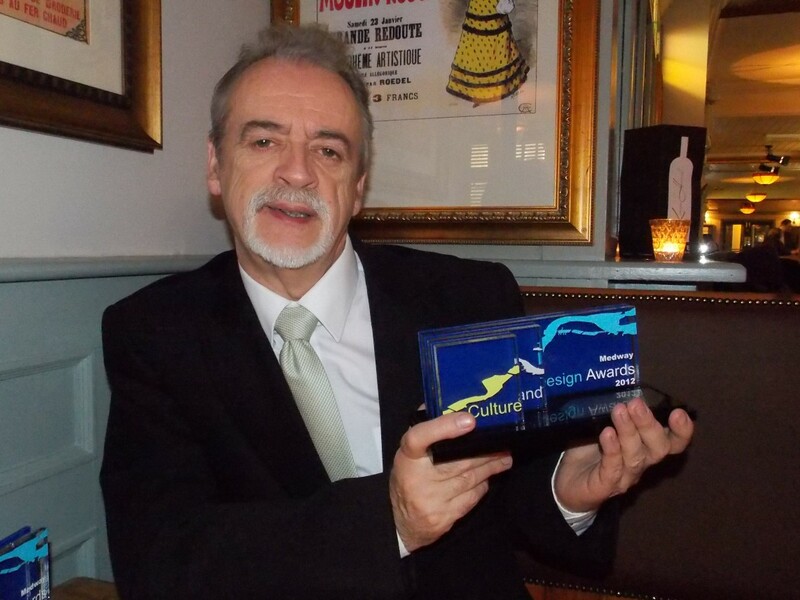 Bill was the well deserved recipient of the Medway Culture and Design Award for Literature last year, recognising both his incredible talents, and his commitment to the area in which he lives. Join us at the Gordon House Hotel, Rochester High Street on Saturday, October 12th. Doors open at 6.45pm, with the performance beginning at 7.30pm sharp. Spaces are limited and do require booking on our Eventbrite page here. Tickets are just £5. Our ‘Bring Something to the Table’ event proved so popular in March, we couldn’t possibly leave it out of the main festival! Join us at the coFWD coworking space at 161, Rochester High Street, for a mix of writing games and interactive debate based upon our theme. With the wonderful collective poems produced last time, who knows what new voices may be discovered – one of them may be yours! The event will take place on Saturday, October 12th between 11am – 1pm and spaces are limited, so booking is required at a small cost of £3. Please visit our Eventbrite page to secure your place. Children must be accompanied by an adult. The final adventure with ME4Writers takes place on Thursday, October 10th. Join them on a creative writing journey around the City of Rochester; be inspired by the myths and stories of our iconic locations and let Sam and Barry guide you through a series of writing exercises to unlock your creativity. The event is free but limited to 15 participants and therefore booking is required – please do so at our eventbrite page here. 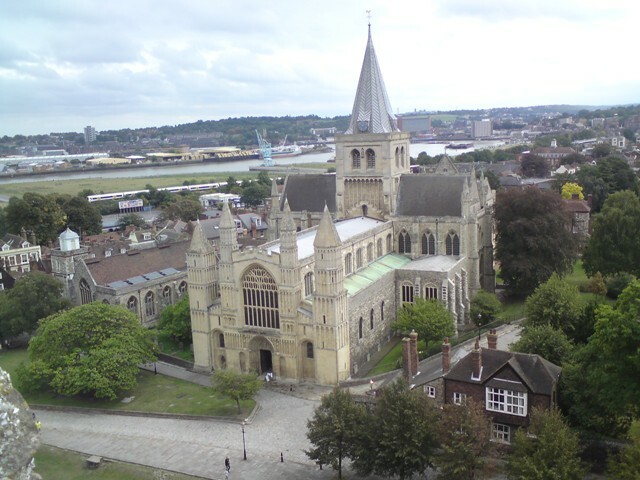 Starting point is the Visitor Information Centre in Rochester High Street, at 11am. The event will take approximately two hours. Children must be accompanied by an adult. The Rochester Literature Festival is thrilled to have the outstanding ME4Writers on board once again, delivering a wonderful variety of activity across the Other Worlds, Other Voices festival. Their dedication, passion, commitment and enthusiasm make them a pleasure to work with and we look forward to doing so on many more occasions. Those ever-wonderful ME4Writers launch their much anticipated alternative encyclopaedia about life in cities, attempting to define the essence and nature of Medway. Initially published as an occasional creative writing zine, there were eight limited edition issues, which have been collated, edited, rewritten, and now include commissioned new writing and illustrations for a shiny new publication, City Without A Head. Come along, hear some extracts from the book, and have the opportunity to buy it with a limited launch piece of artwork. There will also be music and short film to enjoy as part of the evening. Ye Arrow, 8pm on Tuesday, October 8th. Free entry. We’re pleased to invite you along to an informal evening of writing games for fun and inspiration on Monday, October 7th. Storyteller and experienced workshop facilitator Philip Kane will lead the games to inspire you and encourage your writing. Come along and have fun with words! It will take place at the Good Intent pub, John Street, Rochester, ME1 1YL. Start time is 8pm, entry is free and all are welcome. Our headline event for our first weekend will showcase the best in local female playwrights under 17percent’s ‘She Writes’ banner. We open with a rehearsed reading of BBC Prize Winner Sarah Hehir’s award-winning Radio 4 play, ‘Bang Up’, performed by a sterling cast led by our own Emma Dewhurst. Sarah’s play was broadcast by BBC Radio 4 this month to much critical and listener acclaim. She is a proflific playwriter who regularly contributes to cultural and community events in Medway. The reading will be followed by 17percent’s dark comedy short play showcase, based on the HG Wells story, The Door in the Wall. Directed by Amy Clare Tasker, this is a one night only special re-launch of the She Writes showcase for female playwrights. A Q&A session with the writers, performers and director will take place at the end. Aliens. Siblings reunited. And some inappropriate games playing… She Writes is back and it’s bigger and better than ever! The event will take place at Rochester Visitor Information Centre on Saturday, October 5th from 7pm – 10pm (doors open 6.30pm). Tickets are £6 and can be purchased via our Eventbrite page here. 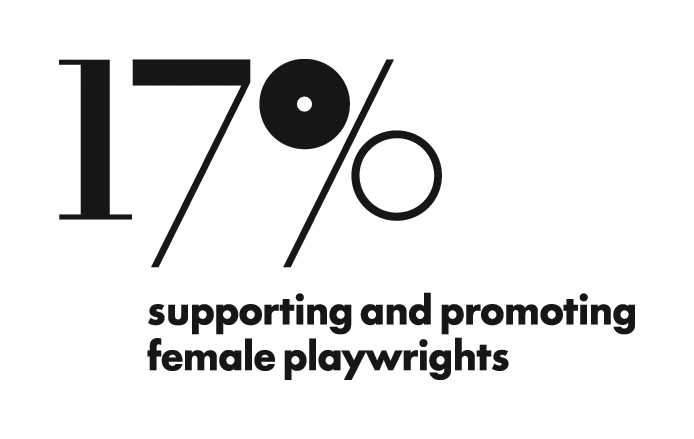 In July, 17Percent set four female playwrights a challenge: to write a play no longer than 17 minutes, based on any aspect of HG Wells’ mystical story ‘The door in the wall’. She Writes: What’s through the door? is an unexpected evening of three different, but linked, one act plays all inspired by the same story. The Audition by Sam Hall. It’s just another audition for a sci-fi show for a wannabe actor, that is, until the other aliens start acting pretty odd, and all is not what it seems. The Fourth Circle by Sarah Hehir. Two siblings are reunited after the death of their mother. Losing Light by Whoop’n’wail (Deborah Klayman and Ali Kemp). Children’s games turn sinister when they’re played by adults. ‘Tough, warm, beautifully observed and written from the inside with real heart.’ BBC commissioning editor on Sarah Hehir’s radio play Bang Up. – Sam Hall’s plays have been performed in the UK and internationally, her play ‘Seven tunes on the flute’ received its world premiere in Italy at the Trends festival of new British Writing, April 2013, and her first play, written long ago whilst at school, won the Six Counties Festival. – Sarah Hehir is the winner of The 2013 Writer’s Prize sponsored by the BBC Writersroom. Her play ‘Bang Up’ was broadcast on Radio Four on 8 August 2013. – Whoop’n’wail are Ali Kemp & Deborah Klayman: both performers, and co-founders of Whoop‘n’Wail Theatre Company. Their debut play, ‘eXclusion’, toured the Edinburgh Fringe, Waterloo East Theatre and South Hill Park Arts Centre in 2011. The Director: Amy Clare Tasker is recently arrived in London from San Francisco, where she is a co-founder of Inkblot Ensemble, an Associate Artist with DIVAfest, EXIT Theatre, and Cutting Ball Theater, and an active member of “YEAH, I Said Feminist: A Theater Salon”. Her TACTICS interview series (Theatre Artists Collected Thoughts Insights Challenges and Strategies for gender parity advocacy) is online at Works by Women San Francisco (www.worksbywomensf.wordpress.com). The full cast list is yet to be released. 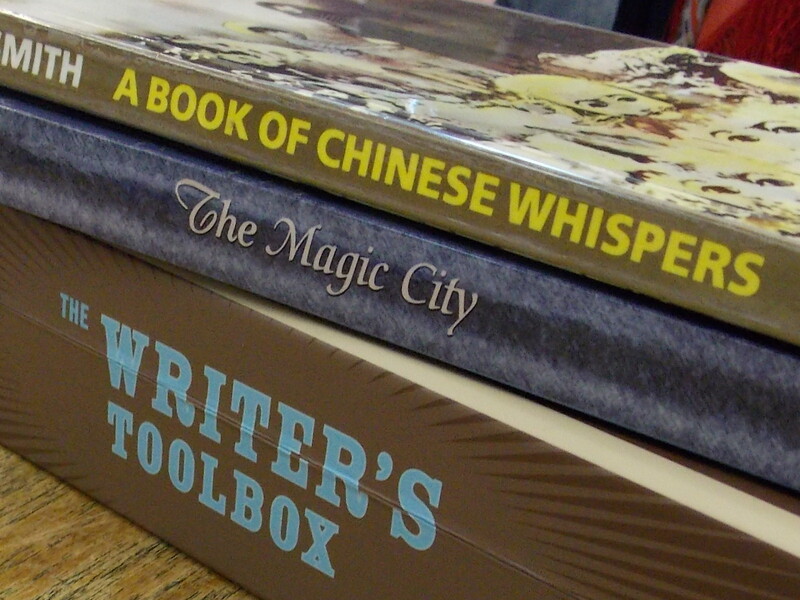 The Rochester Literature Festival is proud to have 17% relaunching ‘She Writes’ at Other Worlds, Other Voices. Sam Hall is an inspiration to female writers, and her support and encouragement is greatly valued.